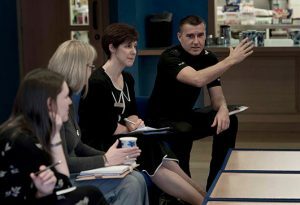 Mairi Clare leads our efforts to change the national conversation about the value of community justice as a vital crime prevention tool.Through our partners, press, communities and the wider public, she promotes best practice, challenges social norms and publicises community justice’s role in making Scotland safer. 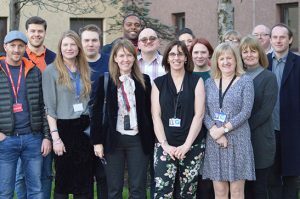 Mairi Clare’s career in advocacy began at the Prison Reform Trust where she saw first-hand the impact that the criminal justice system has on those who offend, their families and the community. This inspired her to apply to the London School of Economics for a place on its MSc Criminology programme – studying, among other things, restorative justice methods, the impact of imprisonment and the effect of crime on society. 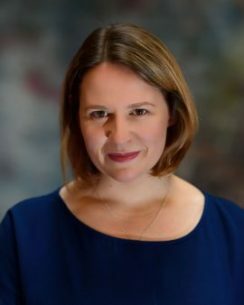 Mairi Clare spent more than ten years as head of the media team and then the campaigns team at Liberty, one of the UK’s oldest human rights organisations. During that time, her team was recognised for excellence in campaigning and influencing public and political opinion by the Political Studies Association and the Public Affairs Awards. Mairi Clare was also the first Scot to win the UK Young Thinker of the Year award in 2008; her argument papers were praised for their powerful delivery, imaginative rhetoric and strong intellectual content.